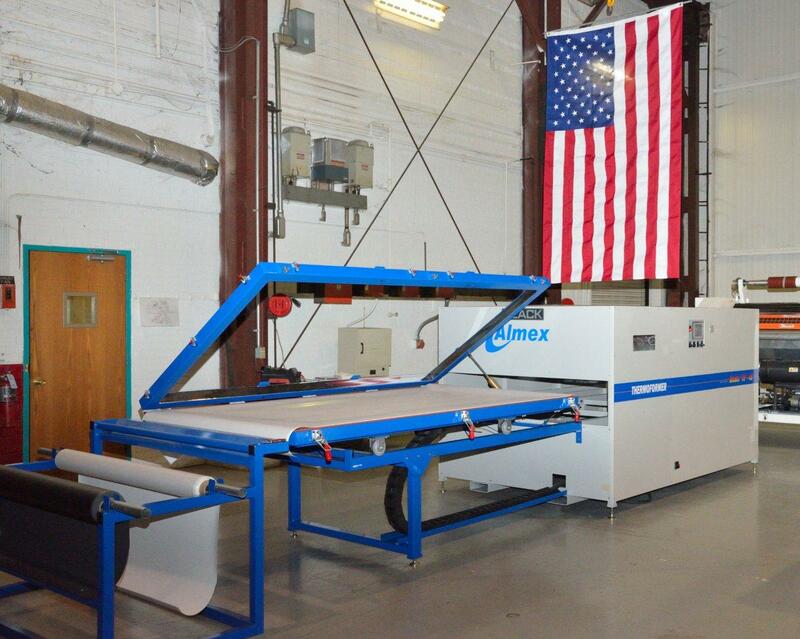 There are many different options out there when looking for a machine to laminate 3-dimensional products. At Black Bros. Co., one of our most popular 3D laminating machines is our vacuum press, the Black Bros. ThermoFormer (TF). Customers choose our vacuum press because of its economical pricing and flexible productivity, making our vacuum press the ideal solution for smaller companies. But what exactly is a vacuum press? Vacuum presses are typically the least complex – and therefore most economically advantageous – of the 3-dimensional laminating systems. Vacuum presses, sometimes referred to as vacuum formers, work through the use of atmospheric pressure. A sealed vacuum is created by clamping a sheet of 3DL (three-dimensional laminate) over a vacuum table and completely sealing around the edges. The tray is then entered into the machine and heated up. Once the 3DL has reached a set temperature, vacuum is then introduced in the chamber beneath the laminate, causing it to ‘form’ around the substrate. This process allows vacuum presses to laminate many different objects, making the vacuum press ideal for non-traditional shapes, such as 3-dimensional and curved panels for cabinets found in kitchens and bathrooms. A vacuum press is ideal for manufacturers who produce a wide variety of parts in varying thicknesses. Standard applications and industries where vacuum presses excel include kitchen and bath doors and drawer fronts, closet and garage doors and drawer fronts, store fixture and display components, office and hospitality furniture, and any application where paint can be simply replaced by 3DL. Medical fixtures are another application where 3DL replaces HPL (High Pressure Laminate) to prevent any open seams where bacteria could grow. In addition to its economic benefits, another advantage the vacuum press has over other higher-priced options is its flexible depth. More higher-priced 3D membrane presses are somewhat limited in the variety of part thicknesses they can accommodate. Vacuum presses can allow for much thicker parts because there’s typically more room between the 3DL and the heat source. Ultimately, the type of 3D press you’re looking for depends on what type of business your company works in. If you are looking for an economical option that can offer unmatched flexibility and is backed by the industry-leading reputation of Black Bros., give us a call and ask about our ThermoFormer vacuum press today!